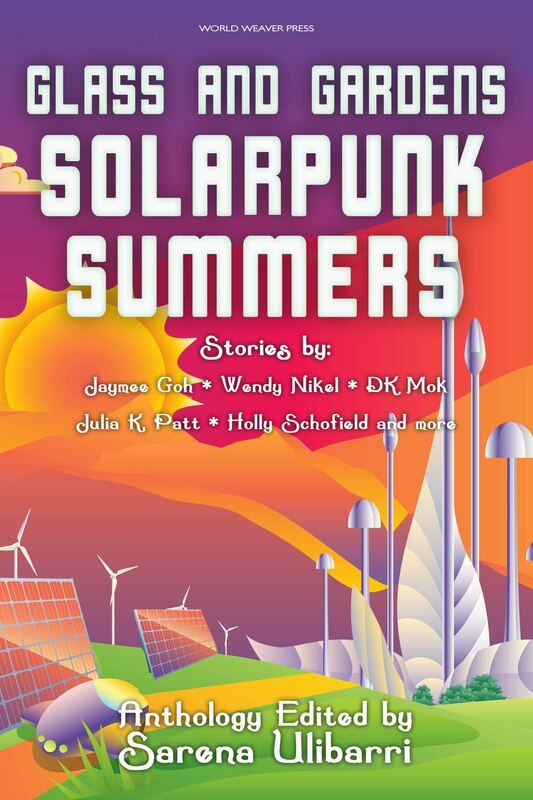 Solarpunk is a type of optimistic science fiction that imagines a future founded on renewable energies. The seventeen stories in this volume are not boring utopias—they grapple with real issues such as the future and ethics of our food sources, the connection or disconnection between technology and nature, and the interpersonal conflicts that arise no matter how peaceful the world is. In these pages you’ll find a guerilla art installation in Milan, a murder mystery set in a weather manipulation facility, and a world where you are judged by the glow of your solar nanite implants. From an opal mine in Australia to the seed vault at Svalbard, from a wheat farm in Kansas to a crocodile ranch in Malaysia, these are stories of adaptation, ingenuity, and optimism for the future of our world and others. For readers who are tired of dystopias and apocalypses, these visions of a brighter future will be a breath of fresh air. My story, “The Call of the Wold,” is, according to Tangent Online, “told in a lightly humorous style with a great deal of wordplay…an enjoyable story with an appealing main character.” I had fun with it and I hope you do too.